Tour fee is $165 per guest for the day tour, limited to 3 anglers per tour. Transportation, a creekside lunch, beverages, and snacks during the day. Handouts for the tour will include maps, access areas, flies, special setups, equipment recommended and other special features that pertain to the fishery. A complete list of all equipment needed is attached to the confirmation package. The Upper Sacramento River is revered for its rich fly-fishing historical values. The legendary Ted Fay “guru of all” fished it every day, my friend Bill Carnazzo treasured it; Walton Powell loved it and former presidents of the United States have all wet a line in its water. It’s a peaceful, majestic and beloved water that anglers love to fish. LGC with Tim Fox has developed a great one day tour for anglers to take a sneak peak at this great fishery. The tour will cover access areas, flies, rigging, wading strategies and proven techniques. Mr. Fox will add his expertise, his knowledge of the river and might even tell a story here and there. 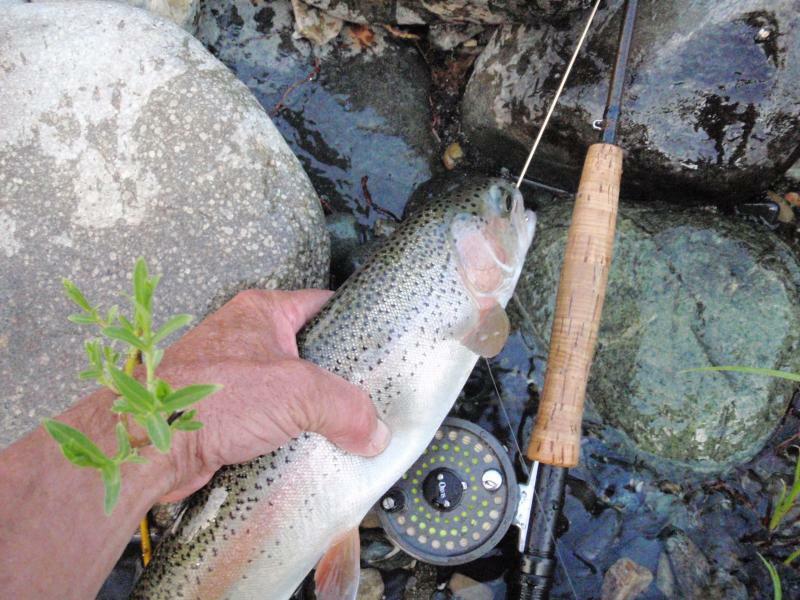 The Upper Sacramento is a great fishery all year long. It has its peaks in early Spring and Fall – but the Winter brings out the big fish. This is great tour.